Singapore has a reliable supply of electricity, among the best in the world. 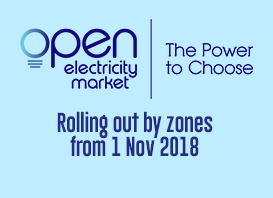 As a regulator for the energy market, EMA is committed to maintaining the country’s high standards for the delivery of electricity to consumers. EMA also puts in place regulatory measures to further strengthen the reliability of Singapore’s electricity supplies. To ensure power quality is maintained, we track incidents, such as voltage dips, that affect supply voltage. Through proper maintenance of equipment, such incidents can be kept to a minimum. We also work with earthwork contractors to ensure they avoid damaging electricity cables and disrupting power supply.